Do your stews and sauces taste like something is missing? That something may be Organic Worcestershire Sauce from Annie's Homegrown. Originally created in England in the 1950s, worcestershire sauce became a popular cooking ingredient. 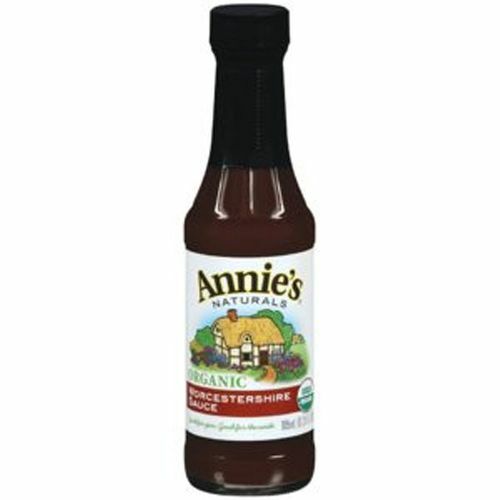 Organic Worcestershire Sauce from Annie's Homegrown can be used in everything from stews to sauces, adding the distinct flavor of molasses and clove. There are no artificial ingredients or colors found in this formula, so you can be assured you're getting the best product possible. Give your dishes new life with the organic ingredients found in Organic Worcestershire Sauce from Annie's Homegrown. Buy it at eVitamins today and save big! Warnings: Contains soy and wheat ingredients. Notes: Shake Well. Refrigerate after opening. Recommended Use: Use on fish or meat dishes, to give stews complexity and add to sauces for flavor.